You know video is the way to go, and the content you want to share would be optimized using video, but now what? What kind of infrastructure needs to be installed? What is the best hardware to purchase and from where? If you work with experienced professionals like the experts at Production Craft, you can tell them what you want to use it for, and they will be able to pick and choose from an arsenal of products the items that best serve your need and stay within your budget. Check out some samples of our work below, or contact us to learn more about in-house studio development. Produce original programming at the drop of a hat, and communicate on-demand with your own in-house studio. Robotic cameras, like this one, provide smooth, controlled and precise moves. Digital display allows you to change content on the fly and exhibit to the public in a big way. By assembling the system at Production Craft’s office, and installing and testing it over one weekend, we minimized downtime for the CNBC Chicago Bureau. The Bureau closed at 5pm on a Friday, we went to work installing a camera and edit system to transmit broadcasts to CNBC’s headquarters, and the Bureau was up and running Monday morning at 8am. 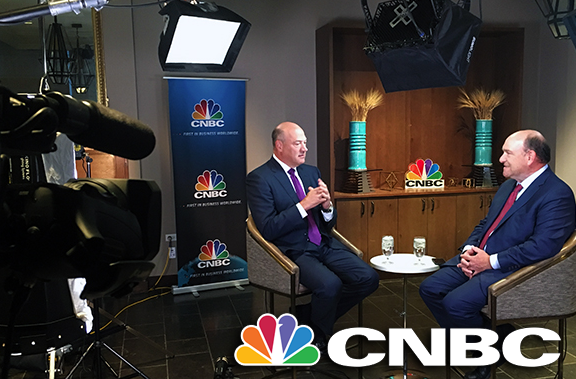 We engineered an in-house television studio designed to allow television networks like CNBC, Bloomberg Television, and stations nationwide to conduct live satellite interviews with Morningstar analysts. 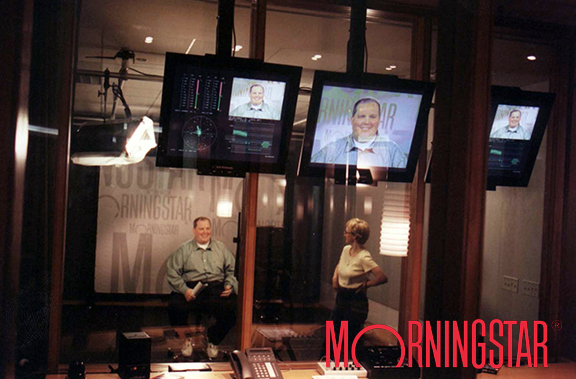 The studio also provides streaming video broadcasts to Morningstar.com. We designed, installed, and currently maintain six robotic camera setups and an HD broadcast control room. Shots from our system can be seen on an average of 80 times a day on national and worldwide broadcasts. Our turn-key system is locally controlled by non-technical Manpower communications employees, providing national and international broadcasters immediate access to Manpower’s experts at the flip of a switch. The system also provides for off air video monitoring and local recording of Manpower television appearances.